Thank you PTO for great fun at the dance! UIL Winners Second Place in UIL Sweepstakes.. So proud! Stop the Bleed, learning to use a tourniquet. Canyon Pointe Elementary opened in 2007 in the southwest part of the Tomball school district. Dr. Valerie Petrzelka, Principal and Barbara Coleman, Assistant Principal were the first administrators. The current administrative staff consists of Principal Barbara Coleman, Assistant Principal Pamella Chatham and Counselor Kathy Hannan. 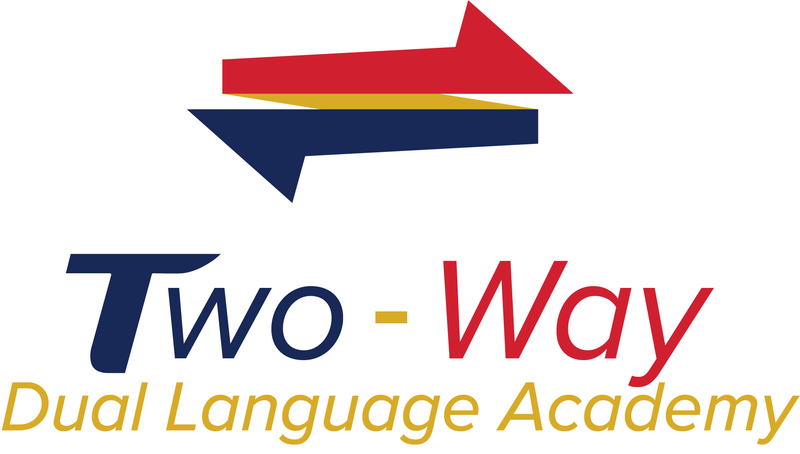 The population has grown from 650 to near 800 Pk-4th grade English and Bilingual classes. Canyon Pointe is a Great Expectations school. Great Expectations (GE) is a teaching model which reflects a cooperative nature between the educator and the learner through shared leadership. Leadership is not a title given to one person, but is developed in all as a result of a supportive and challenging learning environment. Shared leadership is based on well-defined roles and responsibilities within the entire learning community. When learners and educators work together to set goals and achieve them, excellence is inevitable, and the learner will achieve them, excellence is inevitable and the learner will achieve more than was ever thought possible. (Great Expectation Methodology Manual, p.77). 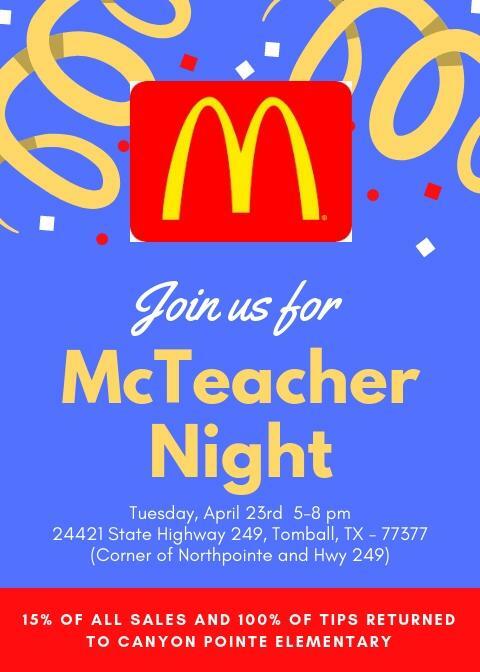 Come support Canyon Pointe and have your teachers wait on you on April 23, 5-8 pm. McDonalds on 249 and Northpointe will donate 15% of sales and 100% of tips to CPES. Oakcrest Intermediate will hold orientation for incoming 5th grade parents on May 7. 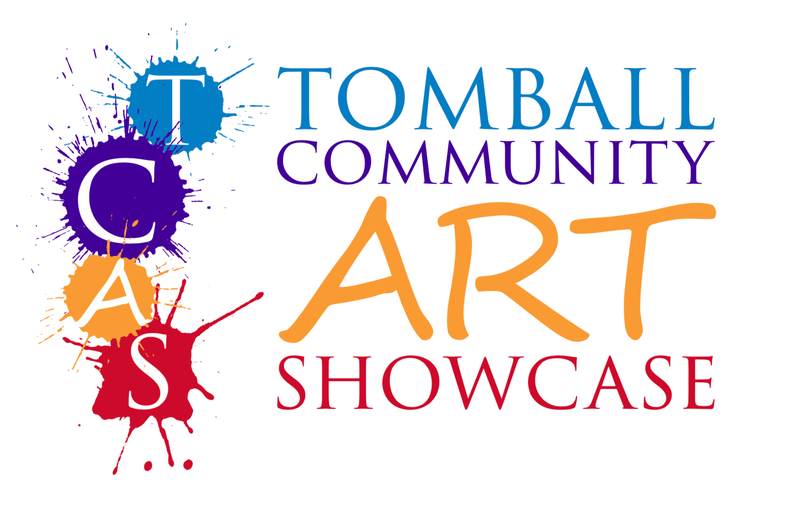 2019 from 6:00-7:00 pm in the Oakcrest Cafeteria. 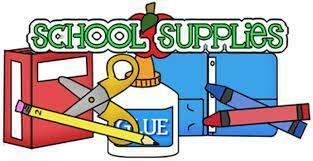 Attached is information about ordering school supplies for CPES PreK-4th grade and OIS 5th grade students. 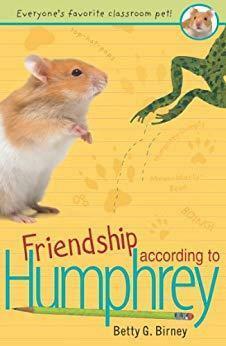 Click the headline above for links to Friendship According to Humphrey reading calendar. Share your family's journey through the book on Twitter and tag it @Librarian20 #TexasReadsOne. Most of all Have Fun! !